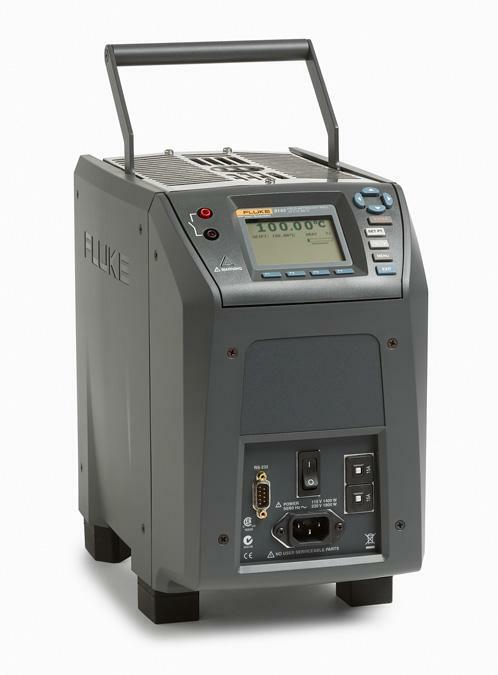 The new 914X Series Field Metrology Wells (Fluke 9142, Fluke 9143, Fluke 9144) extend high performance to the industrial process environment by maximizing portability, speed, and functionality with little compromise to metrology performance. Field Metrology Wells are packed with functionality and are remarkably easy to use. They are lightweight, small, and quick to reach temperature set points, yet they are stable, uniform, and accurate. These industrial temperature loop calibrators are perfect for performing transmitter loop calibrations, comparison calibrations, or simple checks of thermocouple sensors. 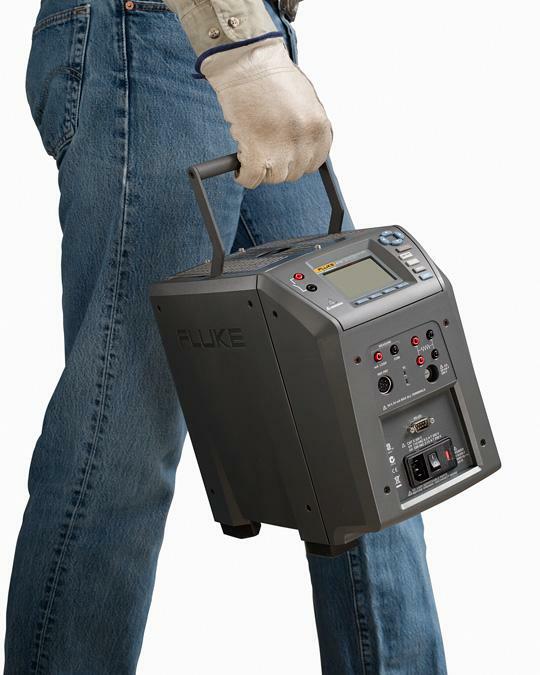 With the “process” option, there is no need to carry additional tools into the field. 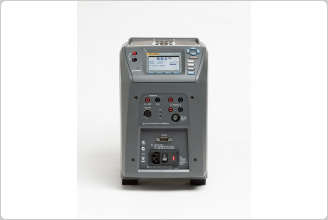 This optional built-in two-channel readout reads resistance, voltage, and 4–20 mA current with 24 volt loop power. It also has on-board automation and documentation. 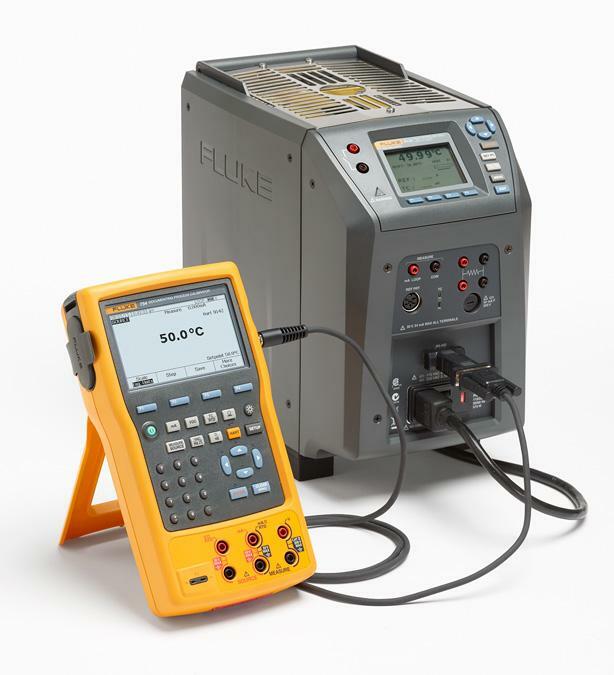 Combined, the three models (Fluke 9142, Fluke 9143, and Fluke 9144—each with a “process” option) cover the wide range of –25 °C to 660 °C. 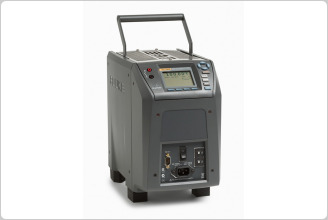 Each process version accepts an ITS-90 reference PRT. The built-in readout accuracy ranges from ± 0.01 °C to ± 0.07 °C depending on the measured temperature. Reference PRTs for Field Metrology Wells contain individual calibration constants that reside in a memory chip located inside the sensor housing, so sensors may be used interchangeably. The second channel is user-selectable for 2-, 3-, or 4-wire RTDs, thermocouples, or 4-20 mA transmitters. 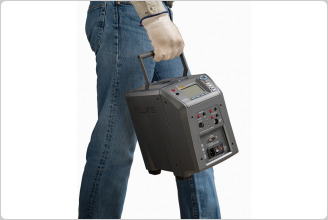 For comparison calibration, don’t hassle with carrying multiple instruments to the field. Field Metrology Wells do it all as a single instrument. Traditionally, calibrations of temperature transmitters have been performed on the measurement electronics, while the sensor remained uncalibrated. Studies have shown, however, that typically 75 % of the error in the transmitter system (transmitter electronics and temperature sensor) is in the sensing element. Thus, it becomes important to calibrate the whole loop—both electronics and sensor. Unlike traditional dry-wells, Field Metrology Wells maximize speed and portability without compromising the six key metrology performance criteria laid out by the EA: accuracy, stability, axial (vertical) uniformity, radial (well-to-well) uniformity, loading, and hysteresis. All criteria are important in ensuring accurate measurements in all calibration applications. Field Metrology Well displays are calibrated with high-quality traceable and accredited PRTs. 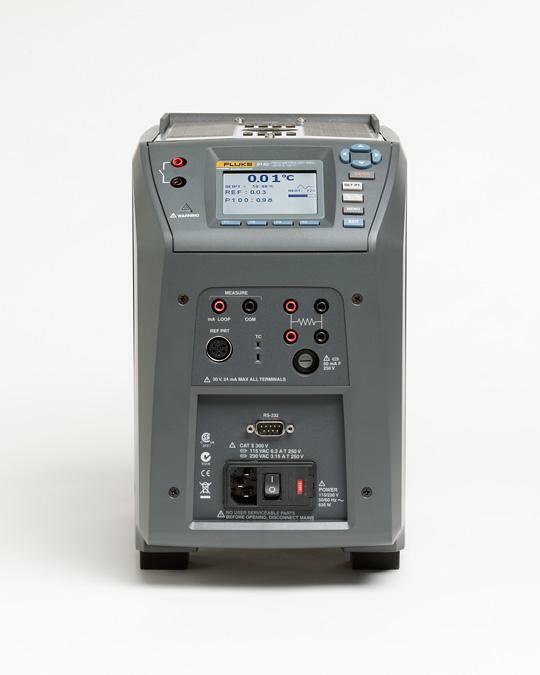 Each device (process and non-process versions) comes with an IEC-17025 NVLAP-accredited calibration certificate, which is backed by a robust uncertainty analysis that considers temperature gradients, loading effects, and hysteresis. The 9142 and 9143 have a display accuracy of ± 0.2 °C over their full range, and the 9144 display accuracy ranges from ± 0.35 °C at 420 °C to ± 0.5 °C at ± 660 °C. Each calibration is backed with a 4:1 test uncertainty ratio. New control technology guarantees excellent performance in extreme environmental conditions. The 9142 is stable to ± 0.01 °C over its full range and the mid-range 9143 is stable from ± 0.02 °C at 33 °C and ± 0.03 °C at 350 °C. Even at 660 °C, the 9144 is stable to ± 0.05 °C. But this is not all! Thermal block characteristics provide radial (well-towell) uniformity performance to ± 0.01 °C. Dual-zone control helps these tools achieve axial uniformity to ± 0.05 °C at 40 mm (1.6 in). † The temperature range may be limited by the reference probe connected to the readout. The Built-In Reference Thermometer Readout Accuracy does not include the sensor probe accuracy. It does not include the probe uncertainty or probe characterization errors. 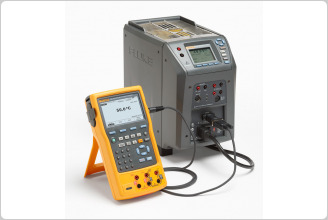 ‡ Measurement accuracy specifications apply within the operating range and assume 4-wires for PRTs. With 3-wire RTDs add 0.05 ohms to the measurement accuracy plus the maximum possible difference between the resistances of the lead wires. X in the above model numbers to be replaced with A, B, C, D, E, or F as appropriate for the desired insert. See the inserts illustration and listing below.